This is the true story of two school-based SLPs who decided to start a business and are stupid enough to record it. Find out what happens when we stop being polite and start getting real. We would love to hear from you! Email us at podcast@slptoolkit.com with questions or ideas for future podcasts! E20: I used to pull IEP present levels out of my $@&! E19: We have been interpreting the articulation norms all wrong. 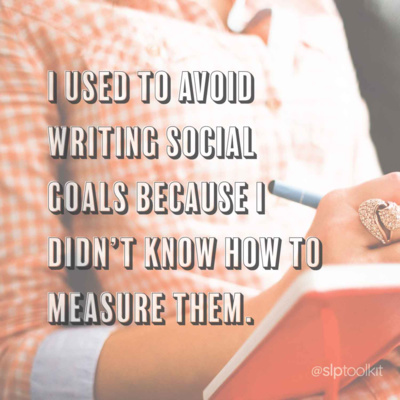 E18: I used to avoid writing social goals because I didn't know how to measure them. E17: We had no idea how big SLP Summit would get. E16: Running my business is harder than being an SLP. E15: What really went down at ASHA 2018! In this episode, we spill the tea on what went down at the ASHA convention! Listen to find out what we really think about the convention, what we learned from talking to so many awesome SLPs and what it was like to have the best exhibit hall neighbors ever! And stick around until the end when we answer some of your questions! E14: I get paid to play for a living. E13: I used to only take data because someone said I had to. In this episode, we are talking about everyone's favorite topic - data! Please still click play :) We share how we really feel about data collection, why it's so challenging and solutions to make it easier and more effective. E12: Sometimes my pride gets in the way. E11: We have been treating apraxia all wrong. E10: We are the last people that should be talking about balance. In this episode, we talk about our attempts (and failure) at balancing work, motherhood, love and health. We also confess if we really get along as much as it looks like we do! E9: Feeling uncomfortable is a good thing. E8: I don't sit around reading research all day. E7: I have fear of using AAC. We are super excited to have our friend Anne Page in the confessional for this episode! Anne shares her confession: "I had a student show up with a device and I had no idea how to use it." If you struggle with helping students with AAC or meeting the needs of students with complex communication needs this episode is for you! 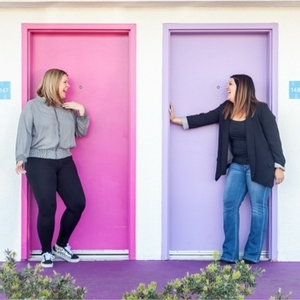 Anne's website: http://beautifulspeechlife.com/ Anne's IG: https://www.instagram.com/beautifulspeechlife/ Other resources: http://praacticalaac.org/ Email us at podcast@slptoolkit.com for feedback and ideas for future episodes! E6: There is no shame in our game! In this episode, we talk about SLP shaming and why it needs to stop! In this episode, Lisa and Sarah confess that they had no idea what they were doing when they started SLP Toolkit. They share how the idea came to them, how they got it off the ground and what they have learned along the way. E4: I don't care if you call me speech teacher! E3: We gained 90 lbs in a year! In our latest episode, we are talking about our struggles with weight gain and what if anything we are doing about it. Email us at podcast@slptoolkit.com with comments or questions about this episode! E1: Who do we think we are? Welcome to the very first episode of True Confessions! In this episode we share a little bit about ourselves and what we hope to accomplish in this brief tell all podcast! Thanks for listening :) Email us at podcast@slptoolkit.com with comments or questions about this episode! E2: I want to quit my job! Welcome back :) In this episode, Lisa & Sarah talk about times when they wanted to throw in the towel and how to survive burnout! Email us at podcast@slptoolkit.com with comments or questions about this episode!